I saw this photo of Matt. He is holding his sweet little Zellie. It made me think... wow... no words are necessary. I felt the love and emotion of the photo. Sometimes all it takes is a photo... no words needed to simply convey love. I love photos for this reason. Matt is such a great dad. I love seeing him with his children. I saw this photo and had to share. They are loving living in Huntington Beach, CA. Can't believe they are having baby #3...yes, it's A BOY!!!!!! It's due to arrive in February. I HEART this photo. LOVE you Matt and family!!!!!! I wanted to share a experience I had. I was on a airplane and to my right was a husband and wife probably in their 70's. I noticed that her legs were shaking and he was just watching her lovingly. When dinner was served, she dropped her roll. He said, "don't worry honey, you can have mine." By this time, I'm literally crying in my window seat. When the plane took off, he grabbed her hand and they held hands. All during the flight he whispered sweet words to her. Then the flight was over and everyone was waiting to deboard. He got the bags down and she tried to grab one. He said.."oh no dear, I have these for you." Okay... I was a puddle. The most beautiful moments did I get to witness. Honestly, they reminded me of my husband. He would have done the exact same things to me. I thought of US in our later years... together... wrinkled, older and still so in love. I smiled through the tears. This made me think about how thankful I am that even with my many imperfections.... my husband, children and friends love me. I think aging puts in all in perspective. I am going to say that LOVE is free and honestly makes me SO HAPPY!!!! I have been blessed with the most amazing neighbors and friends too. We have lived in our home for 17 years now. I can't imagine moving when I have so many wonderful people that inspire me in life. Okay... that was just a little something I wanted to share today. I saw this today and it really spoke to me. I so agree with this. So thankful to have read this. So many many things that I love and make me happy. It's so easy to feel discouraged at times and with life challenges. I love that my sweet daughter who is on her mission tells me that everyone tells her that she is ALWAYS SMILING. Isn't it true... when others are happy and smiling it makes us all happy? Yes, she sent photos today from her mission. She is loving serving and helping others. I am very proud of her. I want to be just like her!!!!! This was her and her companions after having braided each others hair. We are blessed as a family with her on her mission. It's official ZACH is in high school. The worst part... he didn't want me to drive him. HA! I guess I am just not that cool. Ty is in Jr. High school- 9th grade. Again, he is growing up. My boys are 14 months apart. They are hard workers and I'm really proud of them. They both put academics first and this is such a relief to not have to constantly push them. As you can imagine... I was NOT allowed to pick out their clothes. Those days are OVER! I do get to pay for them so they do have to get the MOM approval prior to buying. I'm so NOT SURE about the high socks. Yes, I questioned them. I guess it is the "in look." When I was in school the flipped up collar was cool, jordache jeans and alligator polos. Oh so much on my mind lately. I feel like my life has been so busy and so many things going on that I am just trying to take it day by day. It makes me ever so grateful for each and every day. Days like today... seeing my boys start a new year is a very good thing. WOW... thank you Utah girls. YOU came out and thanks to you we raised $1,500 dollars today for the Huntsman Cancer Institute/PRIMARY CHILDRENS. I met many of you today. I know I missed a couple of you. So tomorrow we are going to be doing it again from 10am- 2pm. I had more items to go through and add more stuff and so tonight I am loading my car with more product. We simply asked for a donation and we had girls drive long distances to come. Yes, IDAHO!!!! THANK YOU. I am so thankful that my crafting goodies and your generosity can help someone else in need. If you want to come- please come to 1377 E 3900 South Suite 100 tomorrow. We have lots of Cricut cartridges still and other fabulous products available. I am thankful for those of you who came out. Join Taylor and I tomorrow. Please text and let us know you are coming. I wanted to do it for free as a donation to raise money. I decided to take donations for our local hospitals for what you want. We have Primary Childrens and Huntsman Cancer Institute. I am giving 100% of what I get to the charity. I have about 150 Cricut Cartridges, papers, books, paper, and just so much that I hope you will come and be generous to the cause. Do you need supplies for school, a charity, or organization? You will need to go to 1377 E 3900 South Suite 100 SLC UTAH. However, we need to know your coming FIRST. You will need to call Taylor at 801-971-7168. I am so sorry we are not shipping anything. HELP- Do you live in UTAH????? My cute boys are headed to NC right now. I miss them already. I am going to keep busy with designing new lines and am going to declutter some. IF YOU LIVE IN UTAH- sorry I cannot ship at this crazy busy time... I am going to get rid of my excess scrapbook items. I have a ton and a lot of it is stored at my husbands office. SO FRIDAY and SATURDAY if you want you can contact me and take what you want. I wanted to do it for free, but I decided to take donations for our local hospital for what you want. We have Primary Childrens and Huntsman Cancer Institute. I am giving 100% of what I get to the charity. I hope you will help me and help others!!!!!! I could not sleep this morning. My boys are headed to North Carolina tomorrow for the NTIS games. I kept thinking about how fast time goes, and in a blink of a eye they are all big. I decided to stop fighting the sleep and get out of bed. Yes, waking up at 3am can be productive. I AM SO THANKFUL THAT I TOOK THIS PHOTO. I FORGOT I HAD THAT PHOTO. I NEED TO KEEP TAKING EVEN MORE PHOTOS. I EVEN LOVE THE BLURRY ONES AND THE ONES THAT I THOUGHT I LOOKED HORRIBLE IN YEARS AGO. So I thought I would share just a couple of my favorite baseball memories since my boys are going to NC. Zach is in second row- second to the left and smiling right at me. Ty coached him all the way from t-ball until high school. Ty is in the far right corner. I was never able to sit with Ty at any of the games until this past season. I love that he always made every effort to be at every game. Yes, I was that mom and took thousands of photos of my boys playing baseball, BMX racing and dancing (my girls). I am so thankful that I have these memories. We have spent many good times as a family watching Zach and Ty play. I love the look on his face here. Now he is 15 years old (almost 16) and headed to play again in North Carolina. He will get home and start high school on Monday. Yes, he is growing up. If you have little ones... trust me, they grow up fast- enjoy every little second. Remember to laugh lots and lots and take those photos. I'm sure glad that I did. Well, Gentry was married in May. Then three weeks later and after a trip to NZ McKay went on her mission. It was a very busy time I never posted photos from the reception. I have not had a chance to scrapbook these yet, but I really am so thankful that we had a great photographer who captured the "day" and "love." Thank you Lyndsey Fagerlund Photography. I highly recommend Lyndsey and felt she really captured their personalities and love. I love that Gentry planned the wedding and really kept it true to what she really wanted. The day was a little windy, but it was a perfect day for wedding. She wanted to do a lot of DIY projects to save money and really have a specific look. She was smart and wore her flats. I loved her bouquet too!!!! She was married for all time and eternity in the Draper Church of Jesus Christ of Latter Day Saint Temple. It is a beautiful temple about 20 minutes from our home. Gentry made this sign so that when you came to the reception you saw this first. Yes, Devan if you ever forget your anniversary you can find it in this photo. The reception was held here at Wadley Historic Farm in Lindon, Utah. This is a barn, but it's so not like a regular barn. It had chandeliers and was simple with classic beauty. The grounds were filled with greenery and flowers. Guests could walk the gardens and not be inside the entire time. Yes, everything was handmade. The LOVE letters were paper mache letters purchased from Joann Fabric store and then glittered. The tassles were all handmade by Gentry, Taylor, McKay and I. I loved the simple touches of gold added to the decor. The circle scallops were made with my Fiskars punch and glittered 12x12 paper. Then we assembled them together by stitching with the sewing machine. We had a beautiful gazebo and we adorned it with hanging poms. I loved the various shades of pink, white and apricot. This was the poms that hung above the dessert and food table. We altered the sizes for variety. Devan built the wood stand to allow them to hang. He is quite the handy man. I have to be honest, this was NOT the cake she picked out. When it arrived she was shocked it was not the cake she had anticipated. It had some ruffled satin ribbon along the bottom and I simply asked them to take it off. That helped it to be more in her desire and look. I could tell she was a little disappointed. Then Gentry told me that it was okay and that she was not going to let the cake being different ruin her day and she didn't. I was really proud of her for not making it a big deal. I still think it was a beautiful cake and so did she. We ordered a lot of "glass jars" in different sizes and shapes for the reception. Along the bottom we added the glitter. These held the straws. It was a beautiful addiction and it was affordable too! We used rose gold glitter and wow did it sparkle. When it got dark the tealights were turned on. I really loved this part of the wedding decor. Gentry wanted a simple bouquet that was classic and had the color pink from the wedding. It was so beautiful. I loved the rings inside the bouquet for a photo. Gentry had her sisters (mckay, taylor, rachel and kayla) and closest friends as bridesmaids. (Dani, McKay, Rachel, Taylor, Gentry, Jackie, Kayla, Chandler and Katie) Gentry made each of the bouquets for them all by herself out of dictionary paper. This took weeks to do by hand. What a blessing to have family and friends to share this day with. She wanted to skirts and tops that they would want to wear again. She found matching necklaces for each of them. Devan is one of FIVE boys in his family. He also had two best friends. I love that Devan is "getting used" to our very female craziness. I know he secretly LOVES it! Ann Bartholomew you raised a most wonderful young man and I thank you from the bottom of my heart. He is everything I would ever want and more for a husband for my girl. I love that these three girls. My girls used to play "wedding" and "dress up." I cherish this photo of them together. McKay and Taylor were so happy that Gentry met Devan. We definitely all loved Devan and loved how he treated her with the upmost love and respect. Oh and Zach and Ty are so happy to have a new brother. Yes, these are the times that we are just so thankful for. They are happily in love and starting a beautiful life together. They are working, going to school and watching every dollar they spend. I love that have each other forever to love and count on. I hope you enjoyed the photos of the reception. She has many more of the photos on her FACEBOOK page. I only shared a few. This past weekend, we had a wonderful time with Matt's family. They came to visit and having Maxson and Zellie here brings so much laughter and good times. Zach is preparing for going to NC to play baseball and my other son is spending a week in So. California with his best friends family. School starts for us here on Monday. Im so excited for the guest designer this month! It just goes to show that you can be amazingly talented and creative at any age. 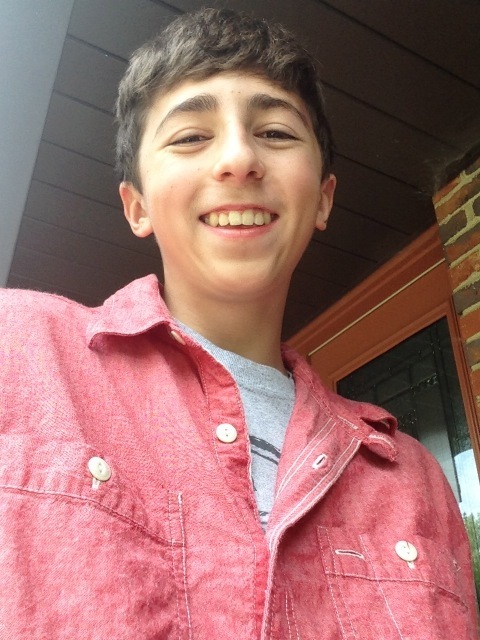 Hi, I'm Jordan Hasek a 14 year old young crafter. 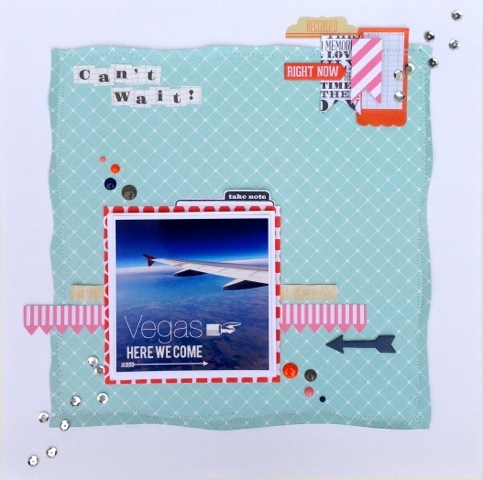 I started scrapbooking in 2012 and I have been loving it ever since. I've always done art so it made sense that I would enjoy scrapbooking. I love to add lots of layers and colors, use many techniques, incorporate washi (since I'm hoarding it and love it), and add embellishment clusters to my layouts. My family consist of my Mom, my Dad, my older brother Justin and my dog Molly and also my tortoise called Toasty. I'm going into high school this year and will be a freshman! I'm really excited but also very nervous to meet so many new people. 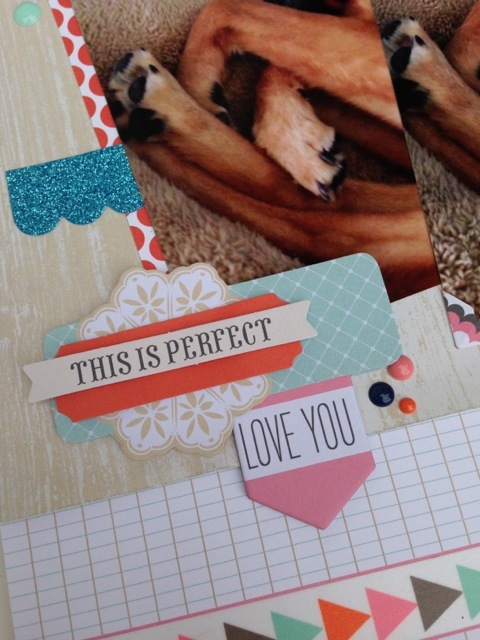 I love scrapbooking and the scrapbooking community so much that I even own my own online shop through Etsy. My Etsy shop is a huge part of my life. I sell all kinds of scrapbooking products from many different companies and of course I will be carrying Teresa's new collections!! I am so in love with Teresa's new collections. Here are so layouts I made with the Family Stories collection. On this layout, I used two of the layered stickers. I think they are great for catching your eye and starting embellishment clusters. I also really like the chipboard pieces so I punch out this huge film strip and took my 6x6 paper pad and filled two of the little windows to add more color to my page. On both of my photo's, I used the photo corners and I love them and the patterns they come in. 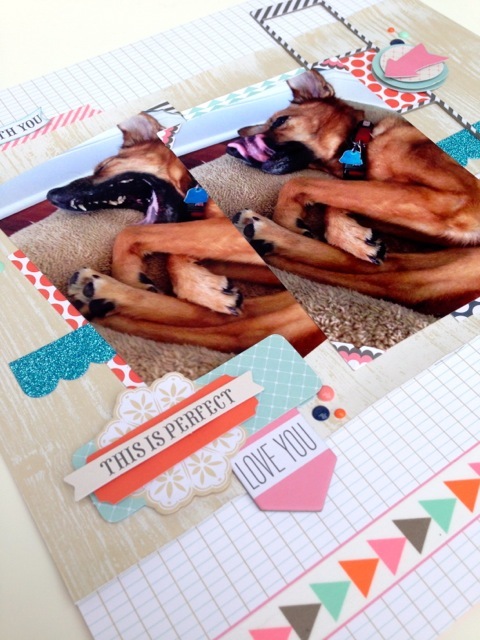 I've never used photo corners before on a layout but I think they look so cool. On this 12x12 grid paper, there's actually a white stripe near the bottom and I wasn't going to add any journaling so I just added a large strip of this awesome triangle washi tape and it fit just perfectly. I also love my enamel dots!! I always find some way to use them. I usually put them along side with other embellishments like I did here. 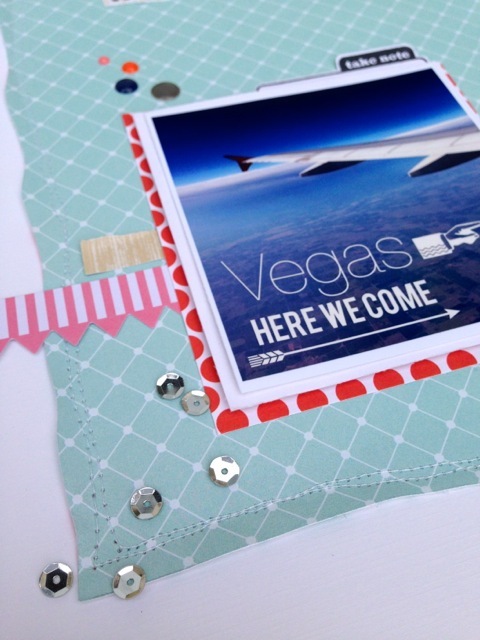 Here I took one of those layered stickers and added the "Love You" chipboard piece to make it look like a larger embellishment and to add more color to that area. I love how it looks like a little flag hanging down from layered sticker. Like I said before I love to layer lots of papers and embellishments and thats exactly what I did here. I just took out my 6x6 paper pad and tore out some of my favorite designs and a few sheets of each color. 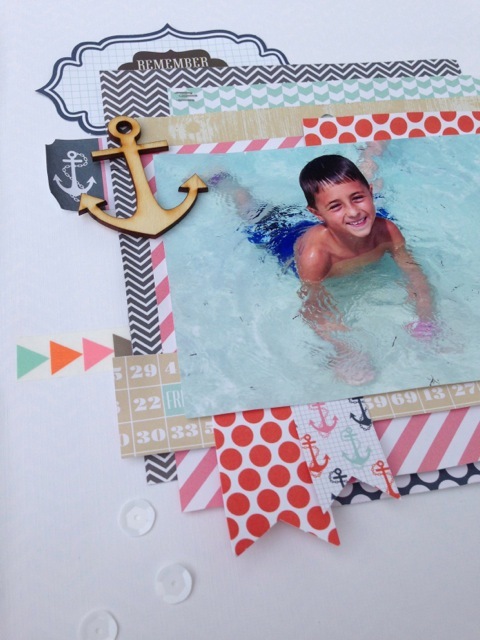 There's so many amazing anchor embellishments that I just had to find some way to use them. So I went back into some photo's from a vacation from a long time ago when I was just a little kid. 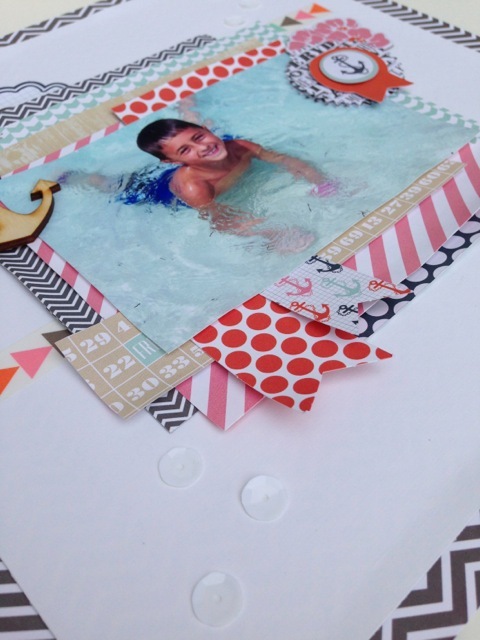 I really love these layered stickers, I used another one on this layout! Who else is excited about these new sequins? I know I am! I used a few white ones in two corners diagonal from each other. I wanted them to kind of blend in but also shine when you look at the page on an angel. One of my favorite techniques is to simply just ruffle and lift the edges of the layered papers for extra dimension and plus it adds a nice look. I think all these colors and all these layers look great together!! On this layout, I cut one of the 12x12 papers down to fit within a 12x12 piece of white cardstock, but I cut it with my x-acto knife and I didn't cut straight. I wanted the edges to be kind of wavy. Next, I took it to my sewing machine and sewed the boarded of the light blue paper, then just ruffled the edges up for a little bit of dimension. Sequins! Gotta love those sequins! Here I just sprinkled a few in the corner. And of course I used my favorite embellishment, enamel dots!!! 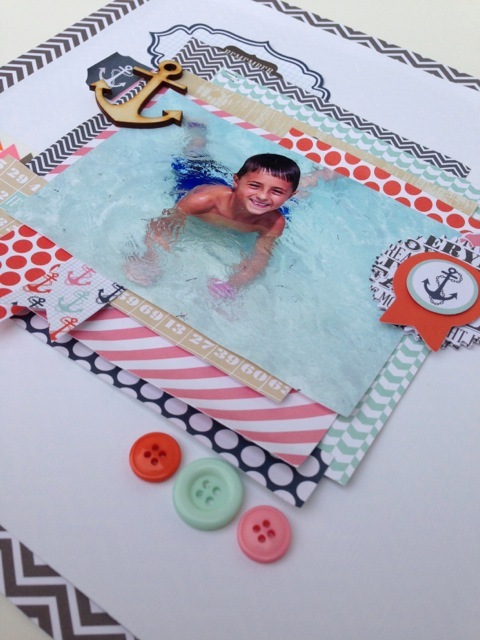 There so much fun and so easy to add as a quick little finishing touch and always make a layout look great. I also sewed over this cluster of banners put together with die cuts and one of the sticky notes. I also added a little file-tab sticker and a chipboard piece, along with some more sequins. It was so much fun to work with this new collection!! It's full of such great colors and embellishments!! Thank you for having me!! I hope you enjoyed seeing my work. And also I hope to be back in the future!! I was thinking about how important it is to me to have a blog for my family and friends. We have family across the country like many of you. It has really meant so much to me to see both of my oldest daughters- Taylor and Gentry start and share on their own personal blogs. So many times we THINK we know what someone thinks or feels. Often I share on my blog about things that I probably would never express in person or share things that are "not that interesting." One of the things I have always wanted to do was be myself on my blog. I wanted my blog to be personal and share things that simply are felt in my heart. SO it really touched me to read both of my girl's blog this week. This was in Las Vegas during CHA... on my birthday. I am thankful that she shares from her heart on her blog. Taylor's blog is sweet and very tender. She is opening up more about her past year and the journey she has been going through. I know that she will learn and grow from writing it and expressing her feelings. It is so important to "tell our story." It does not have to be on a public blog, but it's important to journal. I am so thankful they decided to each have a blog. I believe in the POWER of writing our story. It can be a journal, a blog...or private for just you. I am constantly reminded each and every day that life is truly a wonderful amazing gift. Often it is a journey and we face many trials along the way. Along with those trials we have the beauty of life surrounding us if we choose to see them. I am so thankful that tonight Matt, Kayla and the kids are coming to see us for the weekend. THIS is going to be so much fun. Yes, my camera is READY!!! I am super EXCITED to share that Kayla and Matt are having another beautiful baby. They have heard the heartbeat and are due in February. Oh how I love them and can't wait to be with them. I am going back to New Zealand. Yes, again next year... 2014!!! I was thinking today about the very fond memories that I had this past May. I was blessed to be able to go with McKay and a dear friend. I am not sure which lucky family member will be going with me this time. I will tell you that if you are close to this amazing place you should come and join us. I know the other teachers and company sponsors and can only imagine how wonderful the projects will be. McKay is on her mission and said she is SO JEALOUS that she cannot go back. I promised her that once she is home we will definitely go ahead. If you are in the USA and want to join us, the event hosts are more than wonderful and will help you with all the details so that you can join in all the fun. QUOTES.... & CHA TOP PICK!!!!!!!!! I have a little addiction. It's called QUOTES. I love to be empowered and inspired by words. I especially love ones that capture feelings from within my heart. Like this one. I sent this for my cute husband. I really feel this way. I feel the same way for my children. How can mere words describe the feelings we have in our hearts for those that we love. Okay... don't we all feel this way too? I hate good bye hugs... (avoid them like the plague) but OH how I LOVE to hug my kids and husband. Yes, my boys have been know to RUN away from me. Just love these... wanted to share! I really appreciated all the kind encouragement. I am so thankful!!!! I am honored to be in the CHA TOP TEN HOT PICKS. It is something I truly appreciate and take to heart. Did you say Caribbean Cruise????? I guess you could say I am really busy with teaching. I am very appreciative and so thankful for the requests to teach at stores and events. I think teaching has allowed me to opportunity to connect in ways I could never do otherwise. I am often the one who gains so much more knowledge. So when I was asked to teach on a 7 day Caribbean Cruise with EMI Scrapbooking... well I was really excited. Did I mention that cruises are my ALL TIME favorite trips? Plus, the opportunity to really get to know and be around everyone going. Susan Moore and TC Dye have worked nonstop to host this special 7 day cruise and well... it's time to SHARE my three BIG workshops. Please note these projects are NOT being taught in the USA at any event before or after the cruise. (sorry, there will be NO KIT only options). Workshop #1- LOVE THE MOMENT (using both Memorabilia and Family Stories) 8.5 w x 12" h big book project. Yes, we will be using the NEW Craftwell TC eBosser machine and folders!!!! Just a few of the pages that will fill teh clipboard. You can actually document your trip while on the cruise. Now my last workshop is a flip up Santa's List project (*alternate kit for those who do not celebrate Christmas). So if you are interested in joining our group the very LAST day to sign up and pay is coming up soon- AUGUST 20th. Rooms are being held at this very special Group Rate. Teresa Collins will teach THREE large exclusive workshops true to her signature style. Expect fun suprises, and prizes and much more! 7 nights of Cropping, Group Activies such as dining together each night, Event T-Shirt, Daily Make n Takes, Tote Bag, many prizes and much more. Excursions are optional at your own preference and will be signed up through the cruise ship. NOTE: Class participation is optional, and therefore not included in the cost of the cruise. Spouses and non crafters are welcome to come on the cruise. We would love and encourage this. However, only paid participants of the crafting/scrapbooking event will be included in the workshops and activities. Payment for class workshops and scrapbook participants are DUE NO LATER then AUGUST 20th, 2013. Please contact Susan Moore at EMI Scrapbooking at 1-770-888-2417 or TC Dye at tc2cute2scrap@aol.com. Feel free to call or email with any and all questions. I love music and I am one of those girls that has to work out to music. It keeps me going and I have to listen to dance or faster beats. Also, a song instantly takes me back to a time in my past...7th grade Swimming pool- HOT BLOODED (check it and see I have a fever of 103) HA! I remember jumping off the diving board and being scared that my top was going to come off. Tonight I was thinking about "the first song" that Ty and I had. It was a song by Kenny Chesney. It was OUR SONG and I was so in love with Ty. We met at a gym of all places. We were working out. Yes, it does pay to work out. He came up to me and we talked for HOURS that day in the gym. His version of us meeting is definitely a little off and I love that about him. So many years ago and tonight I listened to that song. It made me think of over 17 years and wonderful memories that we have shared. I wanted to share it TONIGHT with him and let him know that I still FEEL exactly the same way. Ty I love you and I feel exactly every WORD STILL in this song. I am so thankful I married you... my BEST FRIEND!!!!!!! Okay... sometimes all I need is to see these sweet little faces and just be oh so grateful. They are still in California... thinking we need to see them soon. It is the WORLD WIDE LAUNCH and debut of the TC/CRAFTWELL eBOSSER on HSN!!!! This is the machine that is both a fully automatic EMBOSSER & DIE CUTTER. It is electric for ease of use, easily cut or emboss materials up to 8.5 inches wide & 12 inches in length. It will cut through multiple layers of fabric in one pass, wood, foil, vinyl, leather and metal with ease. 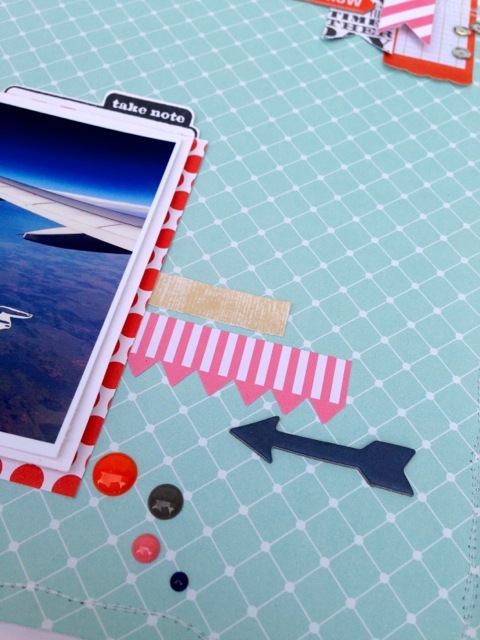 It will work with most cutting dies and embossing folders too. It is universally compatible with your favorite folders & dies or the TC/Craftwell large format embossing folders!!!! Yes, this is the very FIRST time EVER to buy my brand new machine. I am so excited for the WORLD LAUNCH on the 24 hour craft day. My machine will come with TWO special 8.5 x 11 size letter size embossing folders and MORE!!!! Check out the show for MORE of the details of the special debut. I am working on projects now to show!!! TODAY I am showing my second project that I am teaching at my event INSPIRATION UNLIMITED next month. It is not for the faint of heart!!! It is exclusive to my event and is not available for kits. The event is a 1.5 year of planning for each year. I wish we could fit MORE students in but we realized that around 275 is maximum for Ginger and I to handle. We were able to add 47 NEW students this year. So if you are on the list please don't give up. If the list continues to grow, you never know if we have a second event. Honestly, it's a huge event and it's just us with around TEN volunteers. I love and appreciate Ginger so much for always doing so much. I teach the entire event- over 18 hours in two days so that everyone gets to have TC overload. ha!!!! Yes, it's HUGE and it's on a large clipboard. 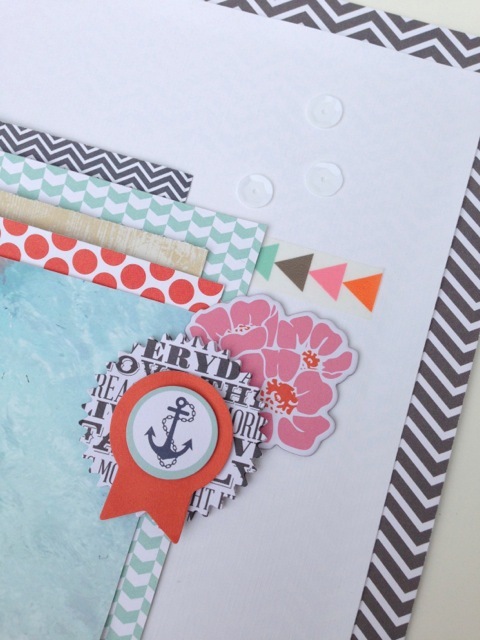 I am so in LOVE with the layering, glitter, embossing and MORE! I used my new collection- Family Stories. This line I promise will make you happy. Okay... HAPPY TUESDAY. I am excited to share all of this with you!!!! Can you believe these projects????? They are OVER the top amazing. I wanted to share MORE projects that will be taught at Inspiration Unlimited 2013. They are beyond beautiful and inspiring. I am so honored to have these talented girls come teach at the event. 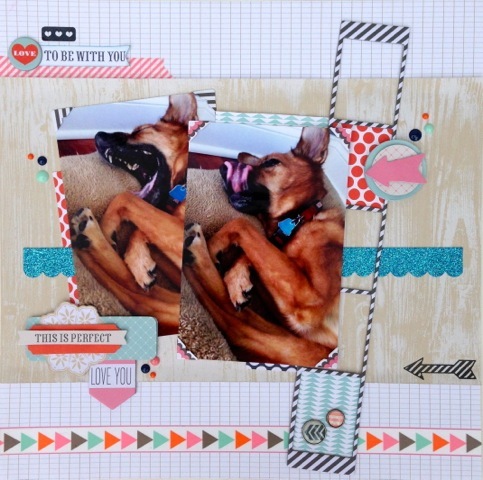 I am so excited about this card class with Kimber McGray. I love how interactive all the elements are. I am positive that we are in for a treat at the event. Her workshop sponsor is JILLIBEAN SOUP!!!!!! This is a sneak peek of the workshop with Pink Paislee's awesome products with Rebecca Cross. I am so in love with this preview. The colors are so pretty! 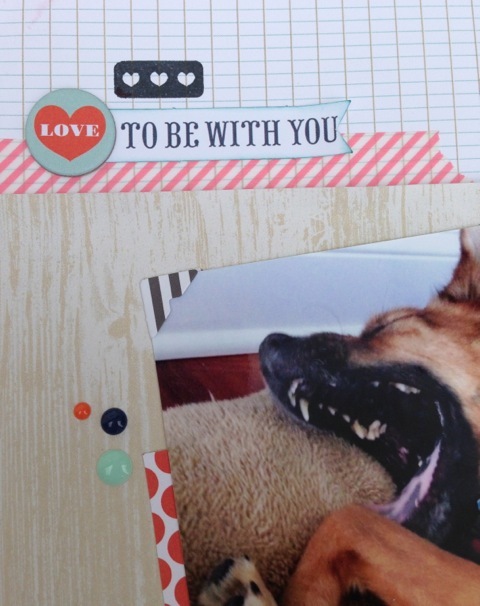 I am so loving this sneak peek of Layle Koncar's workshop using the Simple Stories collection/book. Is this not over the top amazing????? I have always loved her projects. Today is my oldest daughters birthday and I am headed to the airport in a just a few hours to fly home. It is worth getting just three hours of sleep so that I can be home to be with her and my family. I will be headed to church right after I get home. This is what grounds me and gives me so much peace in my life. We are having a birthday party for Taylor today at our home. I love family events. I love that my family loves getting together and spending time together. I could not be proudier of this sweet girl. She is not only my daughter but one of my closest/bestest friends in the entire world. We talk every single day and I am proud of her and how STRONG she is. If you take classes from me- THIS cutie is the one who kits the kits. She does awesome and goes above and beyond to make them organized and precise. She has had a hard year of learning, growth, disappointment and change because of her divorce. I have seen her become stronger and wiser and BLOSSOM. Life is oh so GREAT for her now. She is single and happier then I have ever seen her. One day when the time is right I know she will marry again. So HAPPY HAPPY HAPPY birthday Taylor- we love you so much! NEWS.... ZACH made the NTIS baseball team and is going to fly to Cary NC to play in less than 3 weeks. I love you son and am happy for you. This will be the second time that he is going to play in this tournament. He is excited to go to North Carolina and eat the yummy food there! My husband Ty is going to take him since I will be going to S. Africa right after the tournament and my husband felt it would be too hard for me to to to NC and home for a couple days and then the LONG journey to S. Africa. I think Ty and Zach just wanted dad and son time. I love that they are so close!!!! I want my CUTE husband to know that I miss him. I am in the hotel room and I taught all day today. I was in between classes and my phone dinged... I had a text. I quickly looked at it to see a text from Tyler. It simply said... " I love and miss you." I truly believe that LOVE grows and after all these years I am more in love with him daily. THANK YOU to everyone who came to the workshops. It ended up being a GIRLS WEEKEND for me. When I wasn't teaching I was able to connect with friends and enjoy great conversation. During the workshops I was able to reconnect with my friends and get to have many heartfelt conversations. This is just one of the workshop classes adn some of the girls were missing. Yes, they were so welcoming and kind. I love giving away prizes and hope everyone enjoyed the extra goodies. This beautiful girl won the TC Xyron Adhesive Class kit. She was excited!!!!! I was inspired by being here. Karin... you are a nut in a very good way. Theresea you are the first ANTIGLITTER girl that actually scrapped all the glitter off of the product. HA! So many funny conversations and good times. How about the Scrappy Girls?????? of you at Scrapfest. THIS group is made up of PURE awesome girls. Can I be in your club????? Look at this wooden plaque that Cherie made with my new Masquerade Party collection (& another with Memorabilia collection). These projects were amazing!!!!! Cherie I love that you use my products and I really appreciate the support. YOU are a sweetheart! Okay these two girlies made sure I ate and had me laughing A LOT... Christine and Michelle... I had so much fun and I enjoyed the conversations. I truly feel like I made lifelong real friends this weekend. This was taken in front of the restuarant we ate at tonight. I am always looking for PHOTO OPS. Next time I am here... I definitely want to come back to this restaurant. Life is short... embrace every single day and take crazy photos. This is my first photo ever with a Donkey and a white faced man. I will always remember this fun weekend. Thank you Dana... you are the real deal and I so appreciate your support! I am smitten with this town. I am in love with the small town feel of this special place. I am in Antioch, IL teaching at Hannah's Home Accents. It is a 30,000 square foot mega scrapbook, craft and speciality store and more. Yes, they carry ALL my TCD products. They have the BEST selection and I shopped and even bought some cool things for my workshops at the upcoming Caribbean cruise. This is Dana (far left) and two her store employees. They are both 19 years old and helped me so much. I can honestly say they went above and beyond. Dana picked me up in Wisconsin and we drove to the store. I immediately LOVED her and knew we were instant friends. She had everything so organized and we set up for the workshops (thank you girls for the help) and she had all my brand new collections. Everyone was so excited and filled their carts with my product. It was selling out FAST. Dana had to contact Brian (my sales director) and place an order on the spot. I loved seeing everyone so excited to get my new lines. It just makes me feel like I am doing something right- THANK YOU!!!!!!! MORE TCD will be in on FRIDAY if you want to visit the store. The class was so full I had to go so far back to try to fit everyone in the photo. Everyone welcomed me and I enjoyed talking to each of the girls. I got to see so many familiar faces. Yes, many of the Scrapfest girls who scared me last year. ha! There were girls who drove several hours to be here. I have to say, this store is definitely WORTH the drive and visit. Dana and her girlfriends who truly inspired me by sharing with me... yes, they reminded me that we are leaving a legacy. It's late... 12:40 am here and I need to sleep so I can teach two more workshops this morning. Yesterday was amazing. I got to go watch Zach "try out" for the NTIS games. He had done evaluations on Wednesday and is now playing games in hopes to be selected as one of 18 players to go to Cary NC. I am a huge baseball fan because of my boys. Zach plays baseball six days a week or at least practices. It's just his thing. Right now, Zach and other amazing (they are invited to try out) players across the country will compete in identification opportunities that will culminate in the selection of regional NTIS teams. These teams will be comprised of the best players from within the region to form the team that goes to NC. So Zach and the other players are playing games today and being evaluated. They announce the players tomorrow. No matter what it has been a great experience and I loved watching him. If selected they announce the players tomorrow, all teams will participate in the USA Baseball NTIS, Aug. 22-25 (16U & 17U)at the USA Baseball National Training Complex and adjoining Thomas Brooks Park in Cary, N.C. Anyway, I am headed to teach in IL but thinking of him like crazy. I love that my husband or I never miss a game. I have the BEST husband. (sorry if your not into baseball- it's just such a big part of our family story) It makes it easier for me since we can't both be at every single game. I am sooo excited. I am headed to Hannah's Home Accents. I'm here in the Denver airport waiting for my second flight to Milwaukee, Wisconsin. I KNOW I am suppossed to be going there this weekend and I just know that it's going to be special. The workshops sold out and Dana called with a special request to make room for ONE MORE. I love knowing that although I had no more kits or time to kit another one, that she needed to come. I am going to bring all kinds of goodies to make her weekend fabulous. I brought goodies for EVERYONE too. Wow... am I blessed to love what I do. 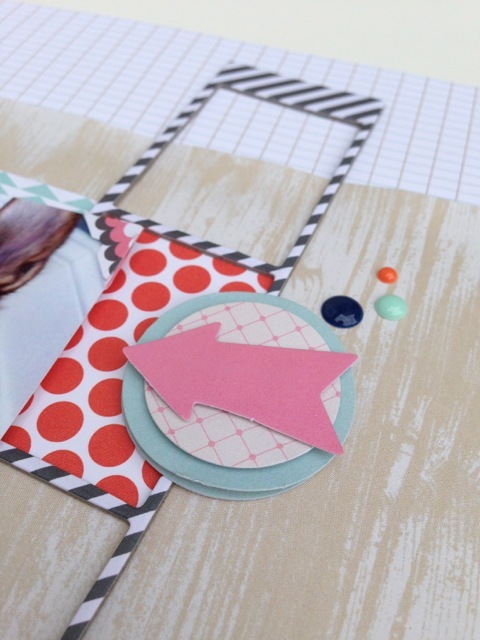 Scrapbooking can and is VERY PERSONAL. We talk about personal memories and trials and often I am in tears. I laugh and cry along with each person I meet. There are heartfelt- life long connections that I feel and grow from. So just know if your coming tonight or tomorrow... I am honored and can't wait to meet you. Dana, thank you for asking me and waiting for me to come. Okay... now for the SNEAK PEEK for Inspiration Unlimited 2013 PAULA CHENEY class. Are you prepared to be amazed???? This class features the Idea-ology Configurations book filled with bright Distress Paint Colors, Idea-ology trinkets, and inspiring words. Each book will be just a little different as you make it your own as you choose the words that mean the most to you. In class you will also experiment with Distress Markers, Stains, and Alcohol Ink. And one little bit of advice from Paula herself..."Loose the manicure, put on your apron and get ready to get a little messy!".. I am so thankful and honored that she is teaching at the event. She is so talented and I know those coming are going to be learning so much from her. Okay.. thank you Denver International Airport for FREE WI- FI. It's the small things that make me happy! Time to board the second flight... Have a great weekend!!!!! Oh I am so loving the new releases. I am teaching at so many places and I can't wait to share bits of the projects with you from the lines. Many of you may or may not know about my event in Henderson NV once a year. It is called Inspiration Unlimited and I invite different teachers each year to come and teach along side me. I teach the entire two days of the event. On Thursday we do PRE- IU days that anyone can sign up ala carte (even if you did not get into the event). I don't teach at the pre-IU classes since I am teaching over 18 hours in 2 days and so I help with the organization on Thursday. The event is so organized and we have sold out for the past six years in minutes (my great event coordinator Ginger Nelson runs the event and takes care of sign ups, the waiting list, payments,she has a on site store, etc) I know many of you ask why it's not promoted more and I talk about it more. Well, we have good and bad problems. The good is that it sells out so fast and the second is I feel bad that more people don't get to come. However, there is always last minute cancellations due to family or health issues and you never know if you will get in. Also, you never know if we decide to do another "second" event. So if you want to know how to get on the waiting list email teresa@teresacollinsdesigns.com or teresac8@msn.com. I will be posting about the event this week as I show daily sneak peeks. The projects you will see are EXCLUSIVE to the event. I will not be teaching the exact project at another event within the USA. I am often asked if I will. Okay so for some visuals of ONE of my two big workshops. This is a LARGE 8.5 x 11 chipboard album. It is very interactive with books within a book- my stitched notebook is on the cover. I used my brand new collection MEMORABILIA. This project is truly a MEMORY KEEPSAKE. My book is very interactive and we will be using my brand new CRAFTWELL TC eBosser machine and folders in at the event with my projects. Be warned IU girls... I am a little addicted to SEQUINS right now.... So much more but this is just a TINY sneak peek. Watch my blog each day as I show more sneak peeks from each of the teachers and classes. I will post information about the event each day so if you have questions leave a comment and I will answer them in my blog posts. THANK YOU! Now speaking of another event that I will be teaching at RIGHT after my event. I am flying through the night to teach at the Mall of America Archivers Scrapfest event. 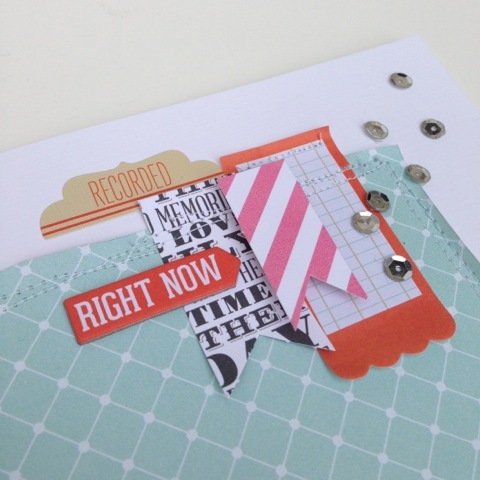 WOW... my Scrapfest workshops sold out so fast. I did not even have them posted to announce to sign up when I got emails, facebook posts of people sad that they did not get in. Due to my busy schedule I am only teaching the one day and unfortunately the workshops are sold out and we cannot add anymore workshops. Thank you for signing up so fast and making my day. I truly appreciated the support and just know these classes are 1 hr 45 but are really 3 hour workshops... so Taylor is precutting everything and the workshops are in the ROTUNDA the center of the mall with the JUMBO SCREEN. I wanted to do BIG projects but no worries I have photos and the kits will be CRAFTER friendly. I want my workshops to be fun and not stressful! This is the MEMORABILIA FAMILY STORIES project. It is 6"w x 11" h and is just gorgeous. I used file folders, enamel dots, sequins and it's just a beautiful book. I'll show the inside cover. I like to design very interactive projects... accordion cards, tags, quotes, file folders... I am in love with the 12x12 sticker sheet with this line. I am also teaching a Christmas workshop at Scrapfest with my new Santa's List. It is a file folder album and so cute!!!! I don't teach Christmas projects at my IU event since everyone gets to take the same workshops from all the teachers. I know many people don't celebrate Christmas and so I only teach Christmas projects in places that the students can sign up directly for that project- like this one! Whew... that was a lot! If you would like to see videos that I did at the CHA Show in my booth- www.scrapbook.com filmed me showing all the collections. You can watch the videos below. I am happy to say that McKay emailed me last night to let me know that she made it to Seattle and is loving it. She loves her companions and mentioned that they got to work in the Food Bank all morning yesterday and loved it. I love knowing she is out there serving and sharing her talents and gifts with others. This week has been so great for me and to be able to connect with her. TOMORROW (really early) I fly to Milwaukee Wisconsin. I then drive about 45 minutes to HANNAH'S HOME ACCENT in IL to teach. I can already tell that I love Dana and we are going to have a great weekend with everyone. My suitcase is FULL of prizes, projects, and more!!!!!! These trips are super fast and yes they are sometimes hard but I honestly KNOW this is what I am supposed to be doing. I fly out Friday and I am home Sunday by 9:30 am. I will get off the plane and go to church (it starts at 11am) and be with my family that day. It's Taylor's birthday THIS Sunday so we are getting together to have a BIG celebration. Anyway, I am often asked how I do it all. Well, it's like if your going to eat an entire cake (I don't recommend) you simply do it ONE bite at a TIME. Focus on what has to be done NOW and Heavenly Father just blesses me to know when I need help and I try to listen. I just had to hire Gentry to help me with my class instructions for my store and event visits. I have learned I can't do it all... FAMILY is always first and my business is NOTHING if I don't have a happy family and marriage. So I try hard to work smarter and not harder. I will continue to go and teach as long as you want me too and keep supporting it. THANK YOU!!!!!! Hope you have a GREAT DAY!!!!!!!!!!! !